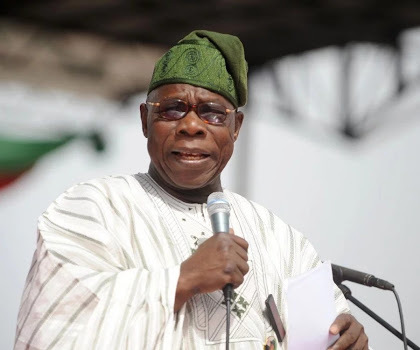 Former President Olusegun Obasanjo yesterday stormed House of Representatives member Ladi Adebutu’s political rally in Abeokuta, Ogun State. Obasanjo, who dressed in white kaftan, caused a stir and excitements among the crowd when he dashed into the rally and waved. But the former President, who announced that he had quitted partisan politics in the build-up to the 2015 general elections, did not speak during the brief moment he appeared at the rally at an expanse ground within the Olusegun Obasanjo Presidential Library (OOPL) in Abeokuta. Adebutu said high and mighty fences or trenches could hardly secure but would just entraps one in an environment of poor governance.